One of my blog readers, Anne (Uni Homemaker), has a wonderful blog of her own that I enjoy reading. You might too! Yesterday was our monthly Open House at Spa 33 in El Cajon, CA and I wanted to make a snack for my table that would feature one of the doTERRA Essential Oils. Of course, true to form, this idea hit me a mere 3 hours before I had to be there to set up my table, so I had to find something that had a quick preparation! When I cook with my oils I like to preserve the healing properties, so I don’t take them to their “smoke point”. This Brownie Bite recipe at Anne’s site sounded so very delicious and I thought that using a flavored frosting would be the perfect compliment to it. Others must have thought so too, because they disappeared quickly off my table! Ingredients: This recipe made 30 mini-brownie bites for me. Preheat the oven to 350 degrees F. Line baking cups in the muffin pan. Using a stand or electric mixer (or mix by hand) mix together Nutella, eggs, flour and salt until combined. Spoon batter into the lined baking cups (about 1/2 full as they will expand while cooking). Sprinkle chocolate chips on top and bake for 12 minutes (same cook time – regular size or mini size). 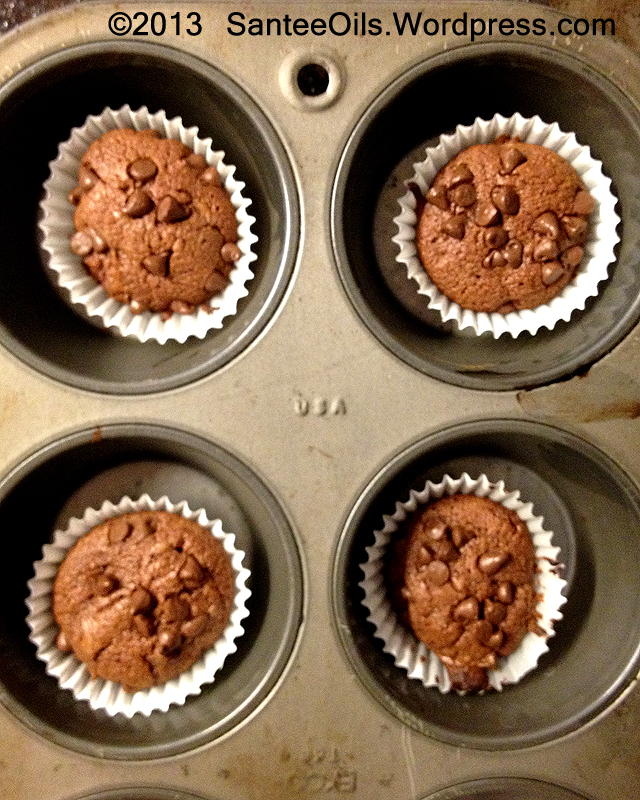 Let the brownie cups cool for 5-7 minutes in the muffin pan before transferring them to the cooling rack. 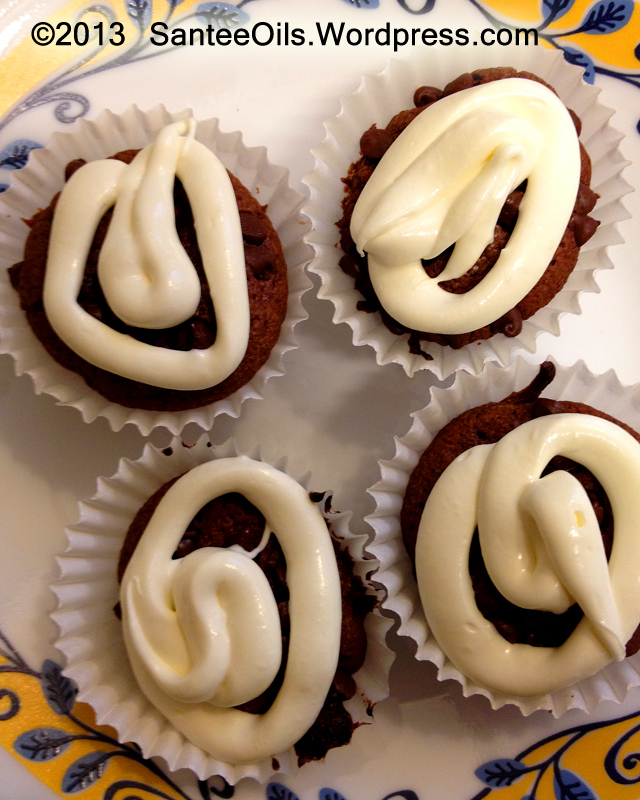 Combine Cream Cheese Frosting and Wild Orange Essential Oil. Mix well. Use a frosting bag or a zip-lock baggie with a corner snipped out. Fill bag with Frosting. Squeeze frosting onto each brownie bite. Eat and Enjoy! I’d love to hear of your experiences with this recipe! Nutella Brownie Bites (with frosting) – YJM! To purchase doTERRA Wild Orange Essential Oil, go to http://MyDoterra.com/SanteeOils .